Classes meet at 115 Wooster St (bet. Prince and Spring) on Monday, Tuesday, Thursday and Friday; at PMT, 28 West 25th St on Wednesday; and at New York Live Arts 219 West 19th St on Saturday. 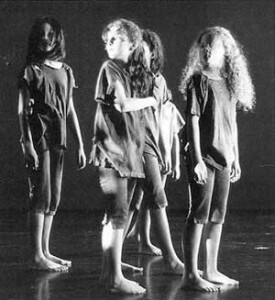 $500.00 per semester for ages 5-7, and $600 for ages 8-18 which have theater performances of their choreography. There are two semesters of fifteen weeks. Tuition is due upon registration for the Fall semester, and in January for the Spring semester. Class size is limited. To register, please call (212) 254-0286 or email info@ellenrobbinsdance.com to reserve a place.